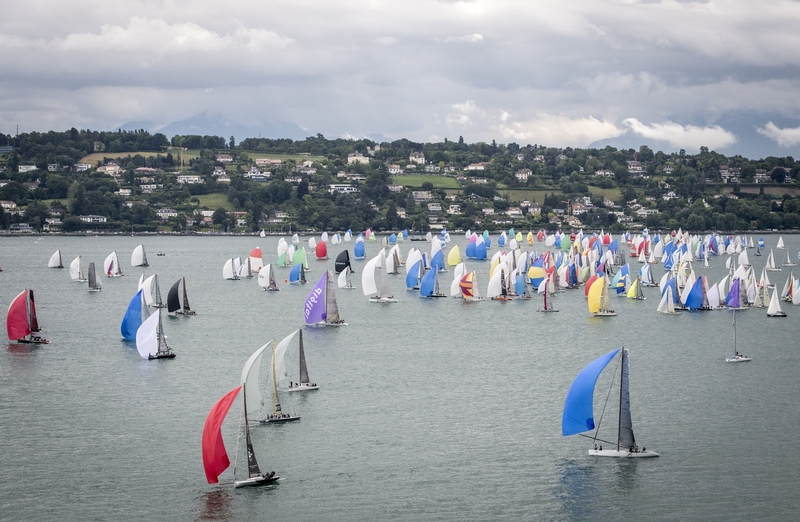 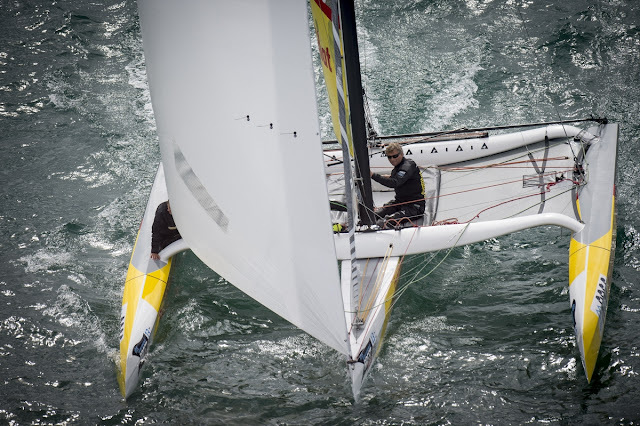 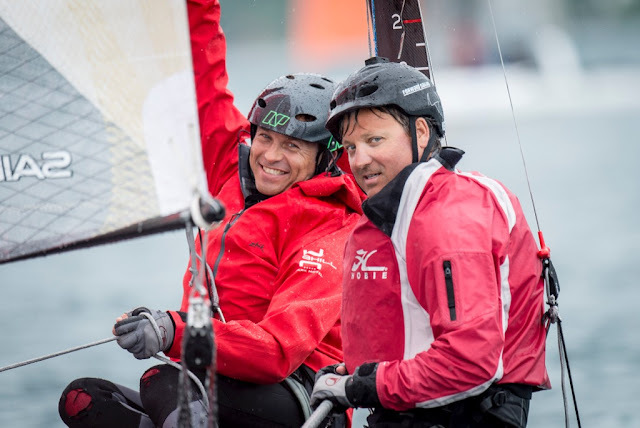 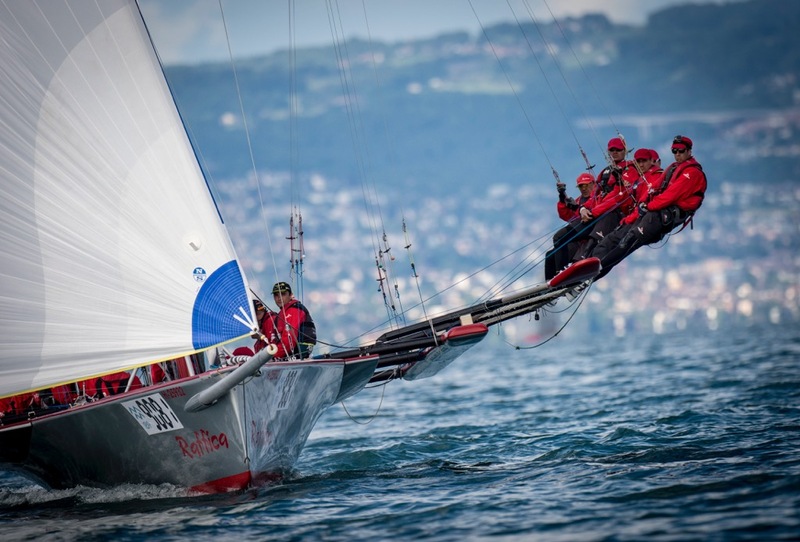 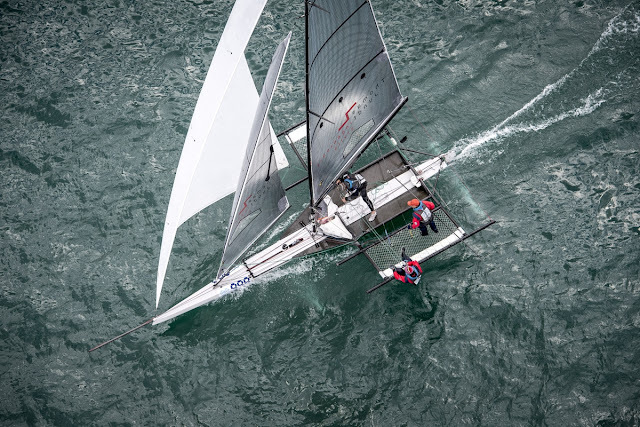 All sailing images by Loris von Siebenthal / BOM 2016. 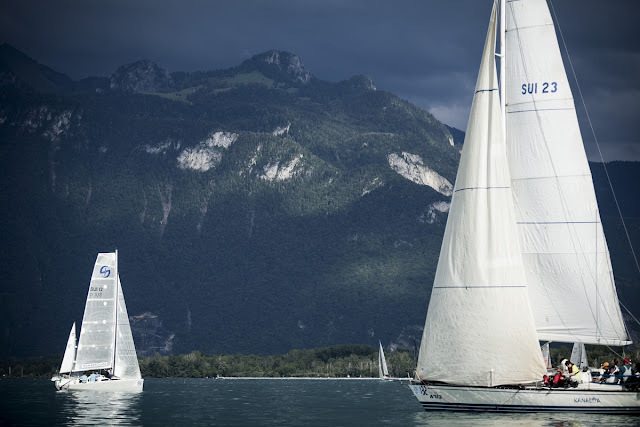 Full gallery at boldormirabaud.ch/fr-ch/galerie/bom-2016. 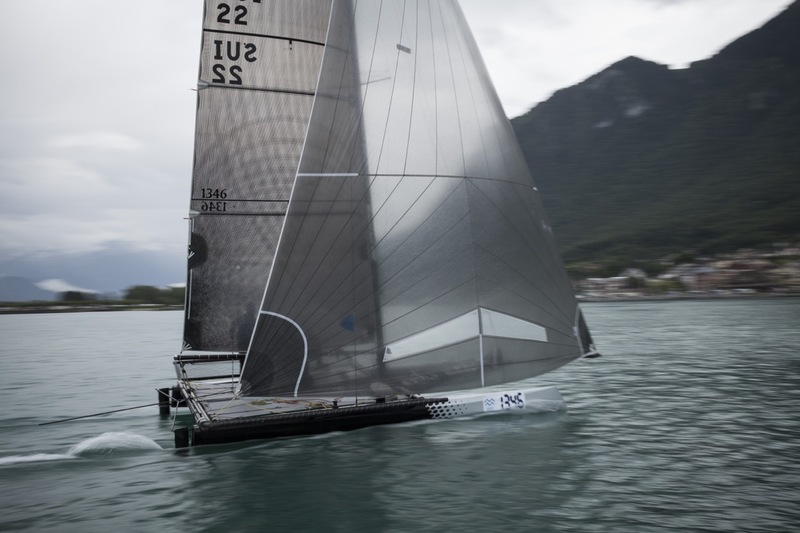 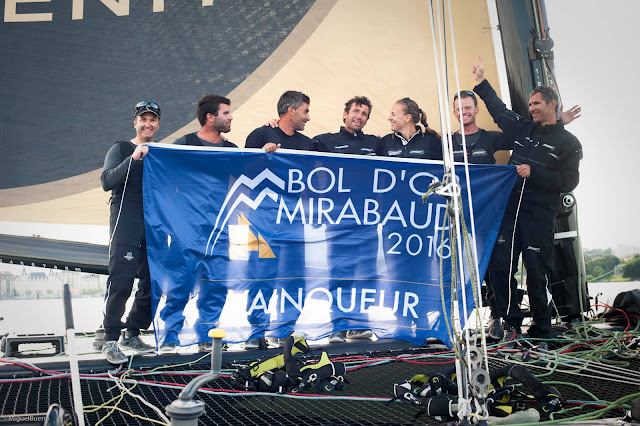 D35 Ladycat / Spindrift owned by Donna Bertarelli won again the prestigious Bol d'Or Mirabaud 2016 edition. 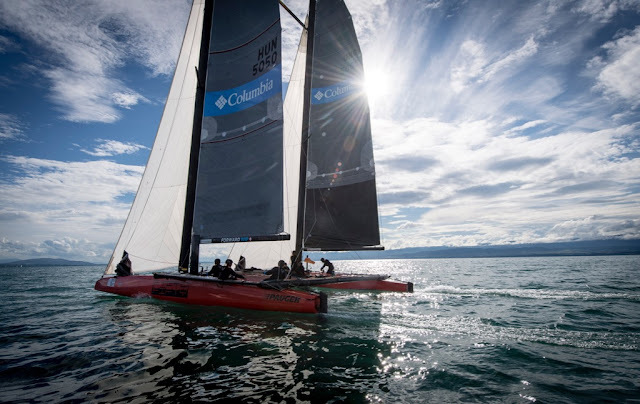 This year the organizers allowed the C1 Multihull category which are basically beachcats like F18s, FPs or Eagle 20 which won its category. 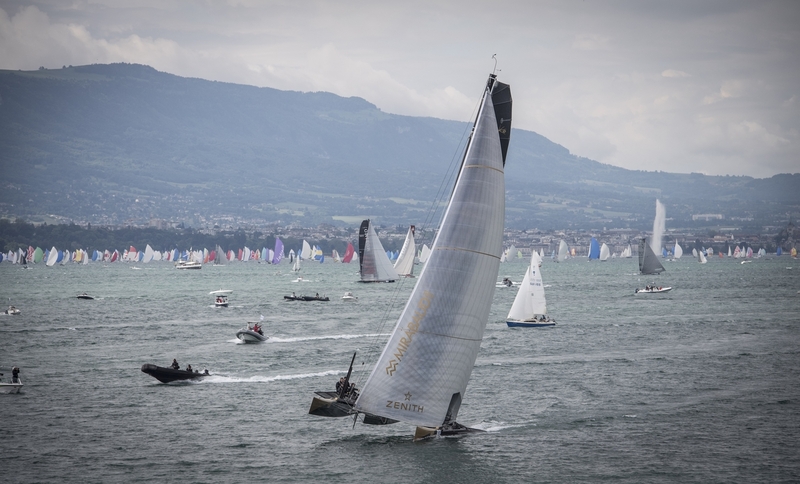 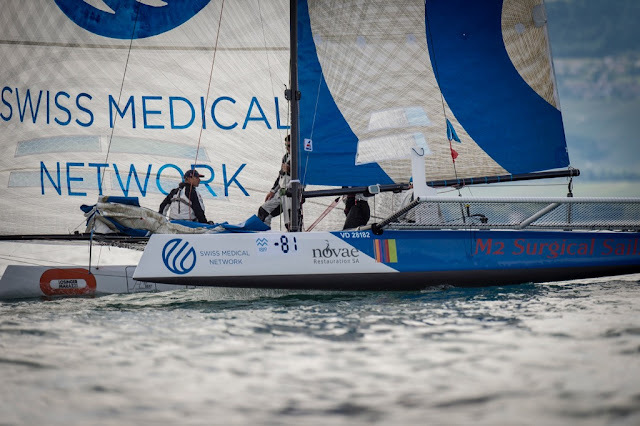 For the Blue ribbon it was again a race for the D35s with the first Ventilo M2 finishing 1 hour and 10 mins behind the winners. A Seacart and a Farrier also were participating in the M1 Class. 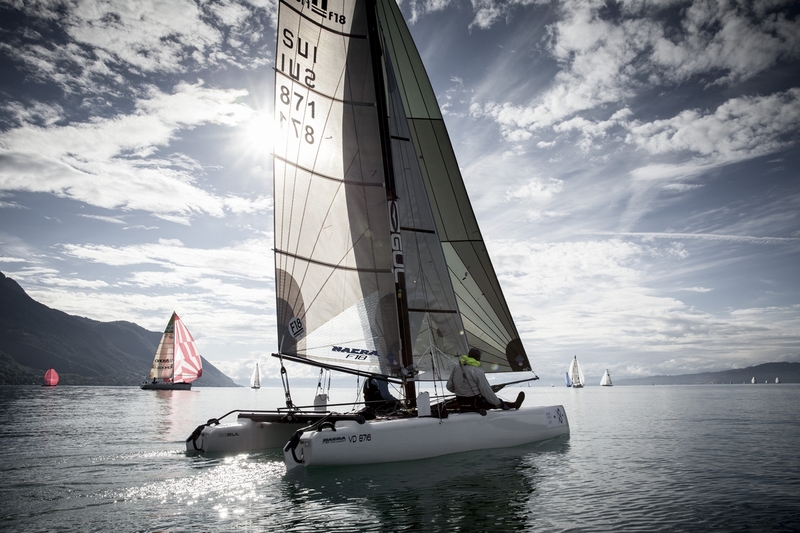 Check detail results by Class at boldormirabaud.ch/ (direct link). Wonde what an A with fitted with spi/codezero can do there in those light conditions, upwind here is the fastest toy around.